The Harvey Milk Festival features a variety of attractions including live music, film, performing and visual artists, speakers, and vendors designed to engage a large and diverse audience. Harvey Milk Festival, Inc. is a 501(c)(3) charitable nonprofit organization and contributions are tax deductible. Check out the interviews from festival goers to learn more about the event! Harvey Bernard Milk (May 22, 1930 – November 27, 1978) was an American politician who became the first openly gay man to be elected to public office in California, when he won a seat on the San Francisco Board of Supervisors. Politics and gay activism were not his early interests; he was not open about his homosexuality and did not participate in civic matters until around age 40, after his experiences in the counterculture of the 1960s. Milk served 11 months in office and was responsible for passing a stringent gay rights ordinance for the city. On November 27, 1978, Milk and Mayor George Moscone were assassinated by Dan White, another city supervisor who had recently resigned but wanted his job back. Milk’s election was made possible by and was a key component of a shift in San Francisco politics. The assassinations and the ensuing events were the result of continuing ideological conflicts in the city. Despite his short career in politics, Milk became an icon in San Francisco and “a martyr for gay rights”, according to University of San Francisco professor Peter Novak. In 2002, Milk was called “the most famous and most significantly open LGBT official ever elected in the United States”. Anne Kronenberg, his final campaign manager, wrote of him: “What set Harvey apart from you or me was that he was a visionary. He imagined a righteous world inside his head and then he set about to create it for real, for all of us.” Milk was posthumously awarded the Presidential Medal of Freedom in 2009. WHat is THe Harvey Milk Festival? The mission of the Harvey Milk Festival honors the legacy of Harvey Milk by fostering the arts as a catalyst for social and political change. By fostering emerging talent in musicians and artists who support diversity and reject discrimination. While we promote equality for LGBTQ people through supporting equal rights legislation. Performance Art + other events throughout the year. The Harvey Milk Festival is supported entirely by volunteers, sponsors, donations, advertising, and concessions. We are growing every day. Please get involved and become part of the movement. Admission is free on Saturday. Donations are welcomed and greatly appreciated. The Harvey Milk Festival supports the mission of ALSO Youth’s mission, to provide Advocacy, Leadership, Support, and Outreach to LGBTQIA youth and their allies. That all persons live their lives with dignity, honesty, and pride, regardless of their real or perceived sexual orientation or gender identity. For more information, visit www.ALSOYouth.org . Shannon has always felt a special connection with political icon Harvey Milk, who has inspired her activism in the human & civil rights movement, and driven her to use her passion in the arts as a catalyst for change in her hometown community of Sarasota. In 2009, Shannon organized The Equal Civil Rights Rally and began to fight for equality both on a state and federal level. One year later she founded The Harvey Milk Festival after California announced the declaration of Harvey Milk Day in April of 2010 to honor one of our country’s first openly gay politicians. 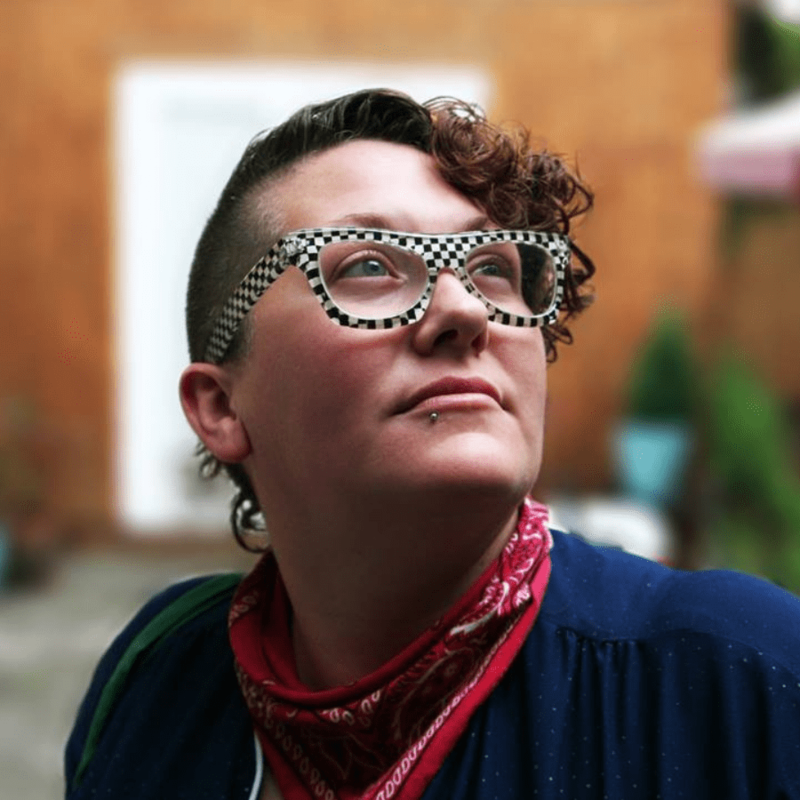 Shannon has built The Harvey Milk Festival from the ground up and continues to diligently expand the organization’s impact and community involvement every year. As Creative Director and President, Shannon develops and manages, along with the HMF Board of Directors, every facet of the festival with grace and vigor.